This paper describes how to get started with mobile apps in your organization – how to identify the potential users and the type of app to build. You’ll learn how LongRange can be used to build mobile device apps using only IBM i developer skills, reduce time-to-market and control development costs. 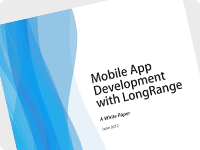 This paper explains how LongRange can help companies build mobile apps using only IBM i developer skills and development tools. Picking the right app(s) for your business is the key to its success. 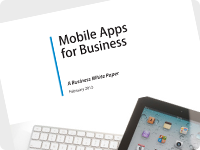 The sections describing business opportunities and what apps can do will help you to identify business activities and requirements suitable for mobile apps.